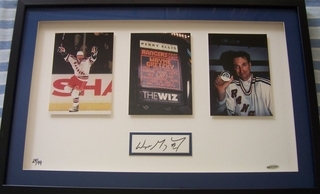 AutographsForSale.com offers dozens of authentic hand-signed autographs from hockey players on cards, photos, jerseys, magazines, pucks and other items (Wayne Gretzky autographed New York Rangers Goal 1072 framed photos from UDA shown here). 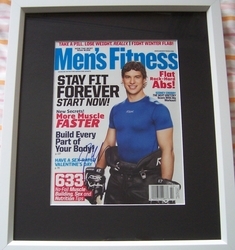 Every autographed hockey puck purchased on AutographsForSale.com comes with a free display holder. Please use the links below to view our selection of active hockey player autographs, retired hockey player autographs and women's hockey player autographs.